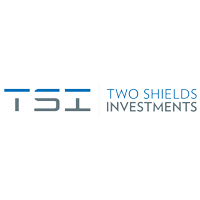 Two Shields Investments (LON:TSI) Chairman Andrew Lawley talks to DirectorsTalk about his plans to bring opportunity and transparency to the company. Andrew provides us with some detail around his background, explains what investors can expect with him at the helm, key investments in the group and how he will generate opportunity and shareholder value going forward. The Company currently has investments in a number of companies which provide exposure to commodities which are relevant to the rapidly growing technology metal sector, including lithium, cobalt and nickel, as well as strategic positions in a geoscience consultancy and a leading international company in the online brand protection, anti-counterfeiting and anti-fraud sector which has developed the one of the most comprehensive systems using AI powered cyber intelligence systems and is developing its proprietary blockchain-based platform for anti-fraud purposes. The Company has investments in an pioneering digital, social e-commerce platform.